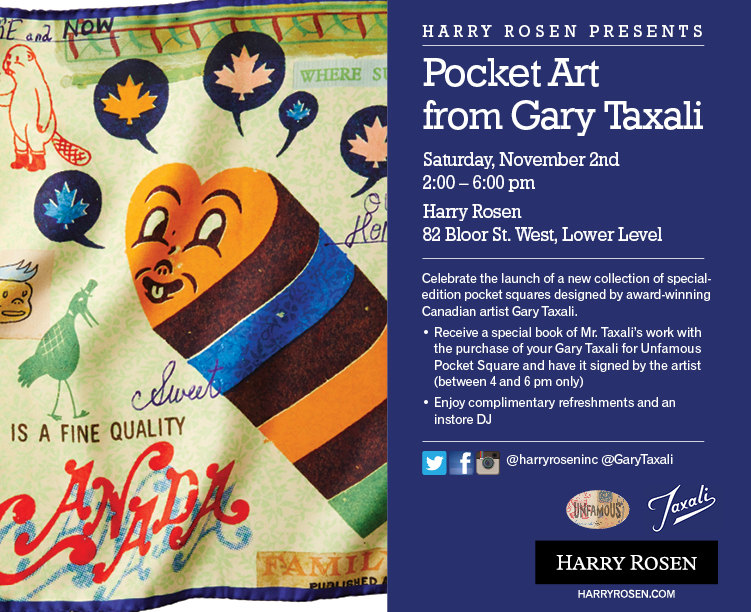 Harry Rosen is introducing a Canadiana pocket squares from iconic award winning pop culture illustrator Gary Taxali. If you haven’t heard of him I’m sure you’ve seen his work. His work has been featured in the Rolling Stone, GQ, Esquire, Time, Newsweek, and the list goes on. The launch was held on Saturday November 2nd 2-6pm at Harry Rosen 82 Bloor St West, Lower Level. There were quite a few enthusiastic fans and collectors around as well as some major fashion personalities. Stay tuned for our in depth interview with Gary Taxali at the event. 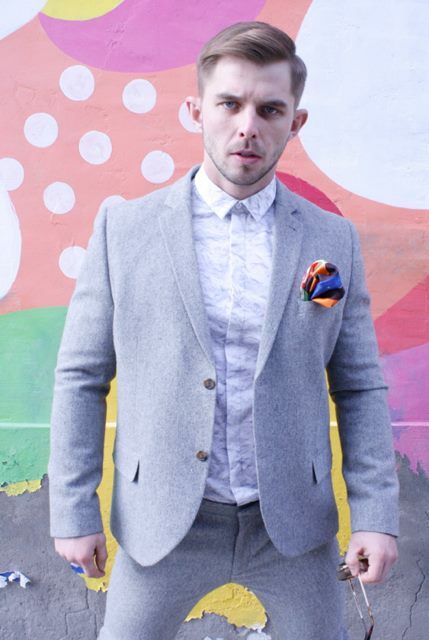 For extended high resolution photo collection, visit our FashionStyleBlog Facebook page.